The Doppelmayr lift is used but new to us. It was used at Marmot in Jasper for a number of years before coming to our hill. The project started in 2009 with an aggressive fund raising effort. Initially, our intent was to purchase a new lift. A representative from Doppelmayr visited our hill and gave us a quote of about $1 million. This was our goal. The Marmot lift became available in 2010. The condition of this lift was researched. It was determined that the lift would fit our hill nicely and was in good condition. The owner, Summit Lift Company of Fernie BC, provided a quote for the purchase and installation of the lift at $498,000 with a commitment to refurbish the lift and ensure it met all current regulations. Our Board decided in late 2010 to purchase this lift. With that decision, fund raising had to be accelerated. The commitment was made and the money had to be secured. 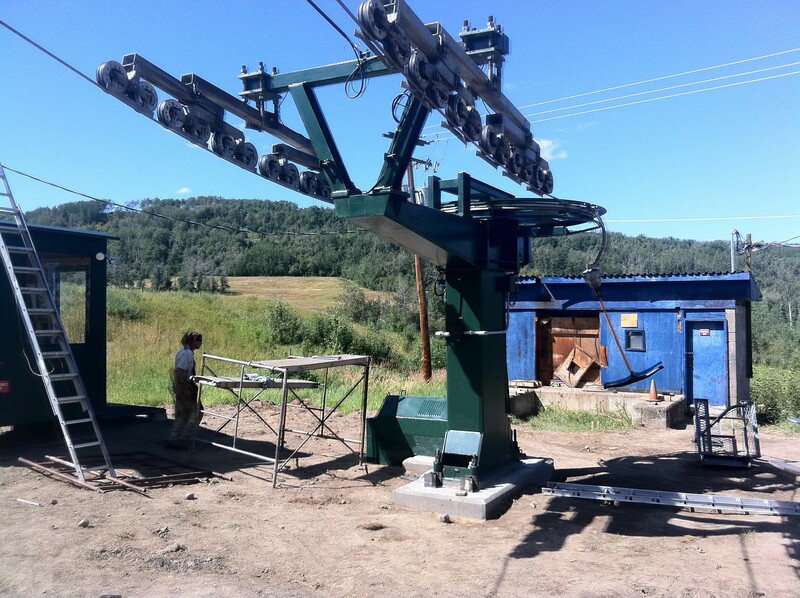 We entered into a contract with Summit Lift Company in 2011 for the purchase and installation of the lift. The company surveyed our hill in 2011, began engineering the lift for our hill. The lift was delivered to our parking lot in 2011 and plans were formulated for installation during the summer of 2012. An AGGRESSIVE fund raising campaign continued with the help of many people and organizations from the community. We were successful and had secured the funding by early 2012. Summit Lift Company arrived in Dawson Creek in late April of 2012 to begin construction. It was a massive and highly technical job accomplished by 8 men over more than 3 months. OUR NEW LIFT IS IN OPERATION. IT IS TWICE AS FAST AS THE OLD LIFT. 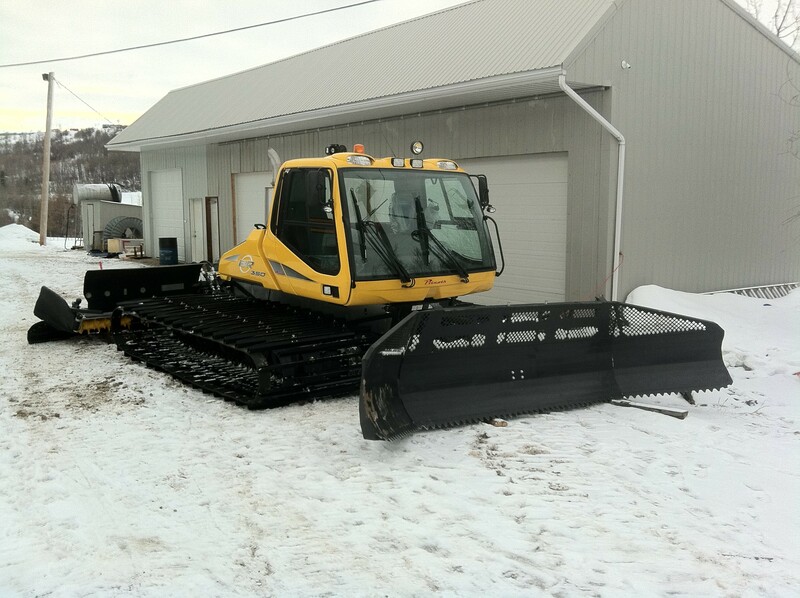 ​A 2012 model BR350 Prinoth (Bombardier) snow groomer was purchased in January 2013. This is another demonstration of the generous support by the people and businesses of our community! 2016: New windows on main floor. New covered sidewalk with handicap access ramp. 2017: New windows upstairs. Sidewalk to parking lot. Roof and stairway upgrade on east side of chalet.